Calling all subscription box companies! This ones for you! Looking to stand out with your packaging? 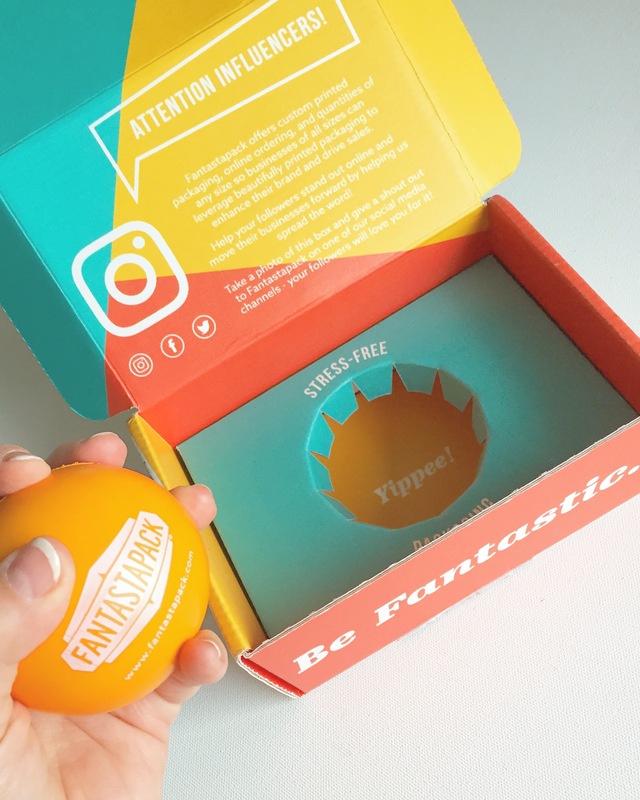 Check out FantastaPack – they offer custom printed packaging so you can send your subscription box out in style! Loving this example they sent me to share with the world, so colourful and looks great in photos! Oh and thanks for the stress ball! Could use this at work for sure! They have custom boxes, labelling and inserts so you can ship your products out safely and without a worry! There have been more than a few occasions where I’ve received broken or destroyed products from transit, so the proper packing is quite important folks!